Want a Total Cafe at your office? and we'll contact you shortly! 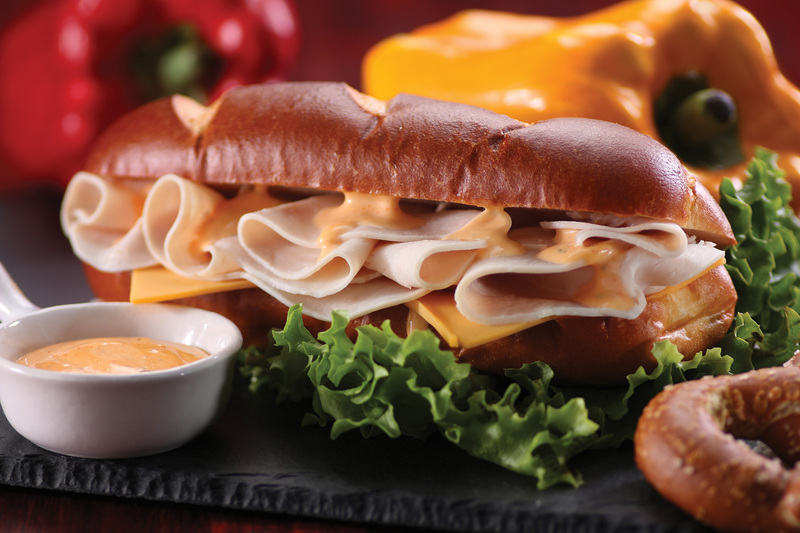 of delicious and nutritious meal options! thumbprint for a quick and easy checkout! Want to learn more about Total Cafe? "Total has restored our faith in vending companies! and painlessly." - Leslie L.
options available to them - and you did just that!" "We have been partnered with Total for many years. in 2017! - Sara B.
customers. It is always a joy to see him enter our building. ever worked with. Your customer service is excellent! easy to switch to the Total Café." - David T.
come in and are courteous and fast. You’ve got a great team." 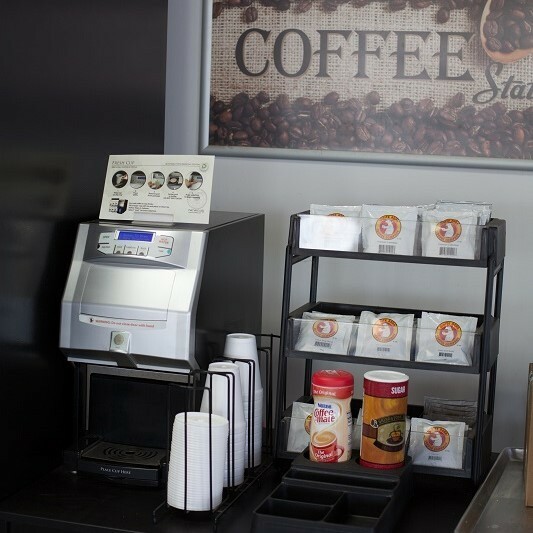 Total Café, Vending, and Coffee is a full service vending company located in Plymouth, Michigan. 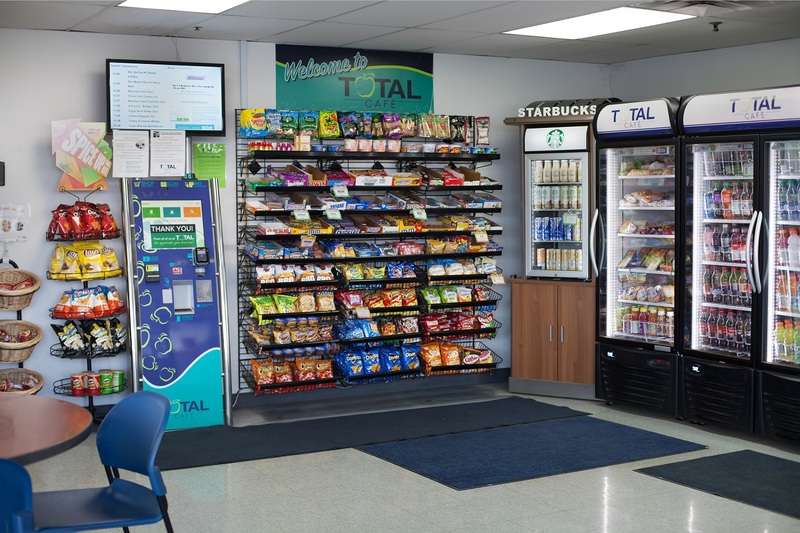 Total is the Detroit Metro Area’s source for break room mini-markets, fresh and healthy vending, and office coffee services. We provide service to Detroit and the surrounding cities of Allen Park, Ann Arbor, Belleville, Canton, Farmington Hills, Livonia, Novi, Southfield, Troy, Westland, Wixom, Ypsilanti, and all of Southeastern Michigan. We believe it’s time to think differently about vending. We know that today’s consumer expects to have choices. They want fresh foods and healthy options, and traditional vending is not going to offer the fat-free, gluten-free, and vegetarian options they want. 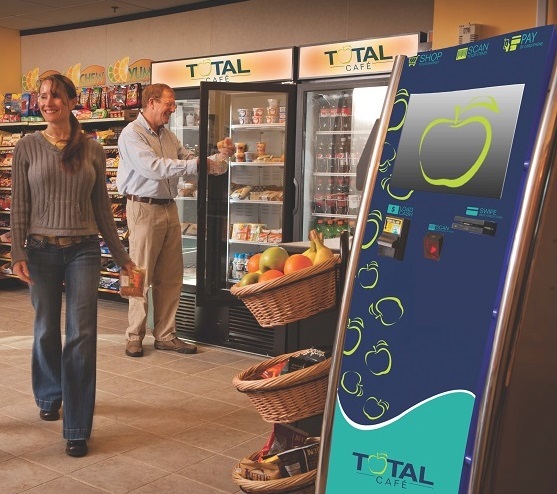 That’s why Total provides your employees with all of the traditional vending options, along with an exciting new menu filled with fresh and healthy options they’ll love! And it’s not just vending machines we offer. 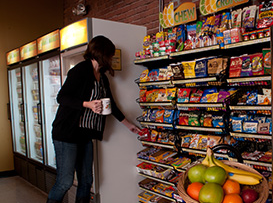 Our Total Café turns your employees’ breakroom into a mini-marketplace to make their snacking experience even better! 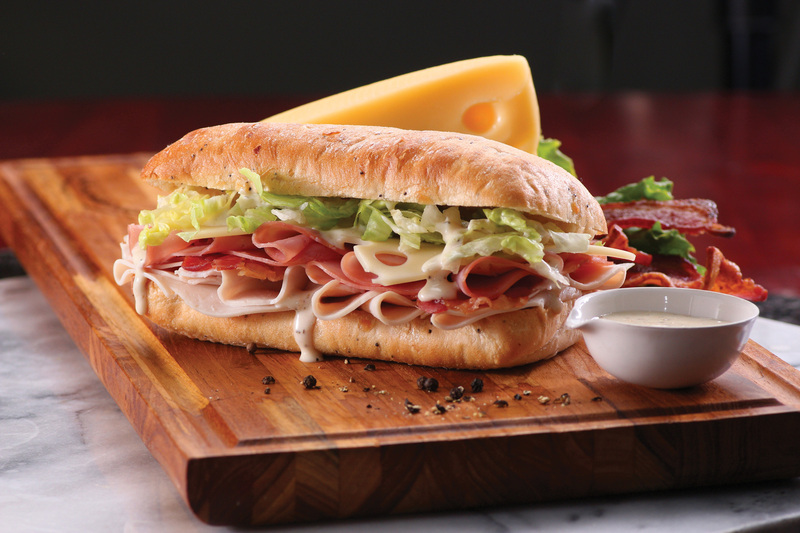 In your Total Café you’ll find fresh salads, sandwiches, and a wide variety of snacks and beverages – restocked as often as daily. 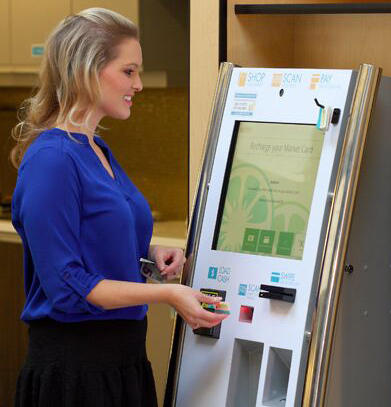 And all Total Cafés include a fully-automated kiosk, so your employees can shop, scan, pay, and go! 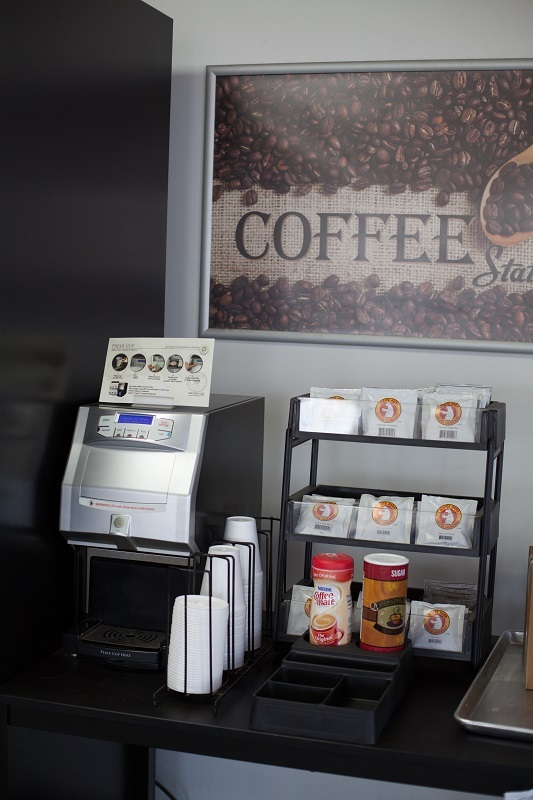 Total Cafe, Vending, and Coffee is the solution you need. We deliver custom vending solutions tailored to fit your consumer while requiring almost none of your time to manage it. We’ve invested in the technology that makes it possible to track inventories, get consumer feedback and even issue refunds without any hassle for you or your staff. 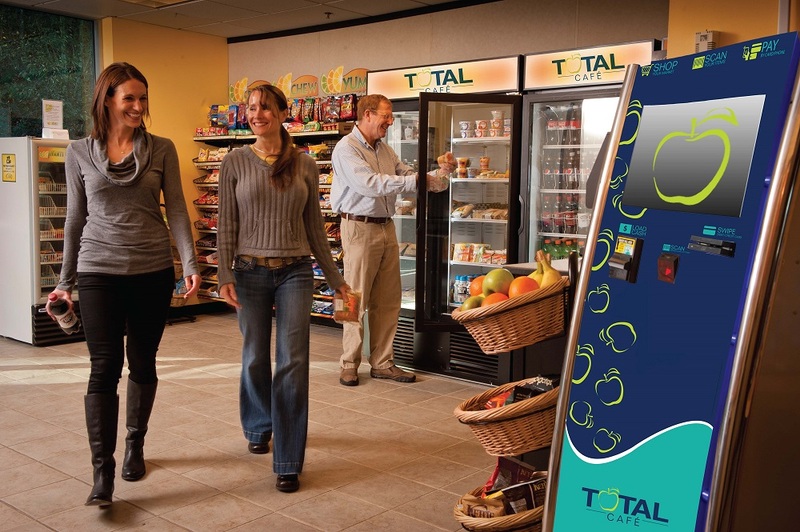 Call us today at 734-427-3510 and see for yourself why Total is your best choice for reliable, flexible vending solutions you can count on. Total Vending offers a full range of vending solutions, from simple machines right on up to our Total Cafe solution pictured here. that doesn't taste like "office coffee."